Put in a call for the left-hander. Relief could be on the way. 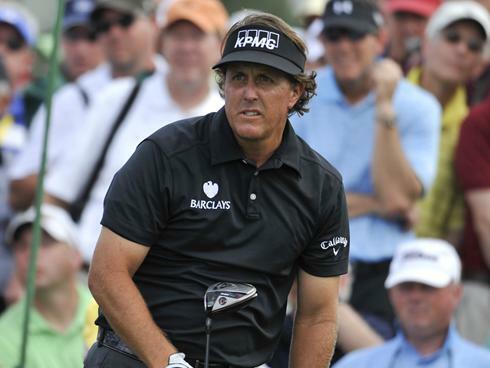 Phil Mickelson has joined a group that hopes to buy the San Diego Padres. The group includes the grandchildren of Walter O'Malley, the former owner of the Dodgers. Tim Sullivan of the San Diego Union-Tribune writes that Mickelson is not looking to just tag along. He quotes the golfer as saying he'll be giving "a lot of my money." The four-time major winner would bring the Padres some of the wattage that Magic Johnson supplied to the $1.2 billion purchase of the Dodgers. The Padres already own his fandom. "Growing up, the Padres were my team and still are," Mickelson said. "I always had a love for the team....where I want to get involved is I want to get a personal involvement with the players and the community â" personal interaction with fans, more community outreach. I want to create an emotional tie with the players and the community."